You can play where other people are playing. You can take turns and share things if a grown-up helps you. You can take turns and share without a grown-up helping you. You are friendly to everyone in your classroom. 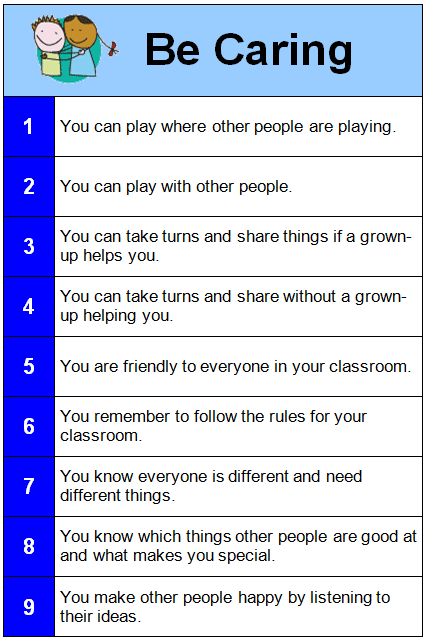 You remember to follow the rules for your classroom. You know everyone is different and need different things. You know which things other people are good at and what makes you special. You make other people happy by listening to their ideas.